Haredi parties condition support for death penalty for terrorists on Yisrael Beytenu's support of law closing supermarkets on Shabbat. 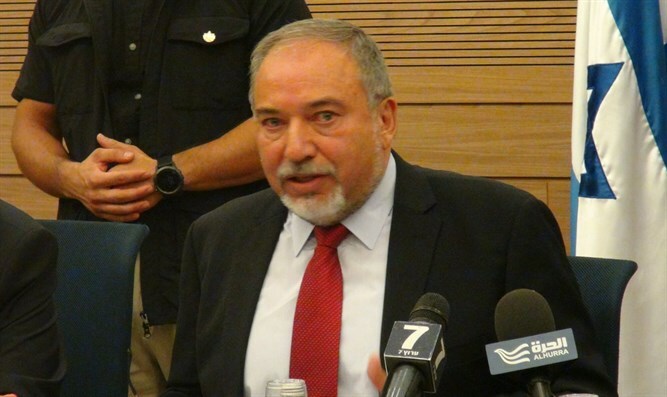 Defense Minister Avigdor Liberman (Yisrael Beytenu) angrily left a Knesset meeting on Wednesday morning after the haredi parties refused to back the bill allowing terrorists to be sentenced to death. Currently, the death penalty may be used only if the judges agree unanimously to sentence a person to death. If passed, the Yisrael Beytenu-initiated bill would allow military courts to sentence terrorists to death with a majority of 2 judges. During the meeting, the haredi parties told Liberman that they would only support the law if the Yisrael Beytenu party agreed to support the "Supermarket Law" allowing Interior Minister Aryeh Deri (Shas) to close businesses open on Shabbat (the Sabbath). In response, Liberman stood up and walked out of the meeting, and immediately afterwards Israeli Prime Minister Binyamin Netanyahu did the same. Energy Minister Yuval Steinitz (Likud) also opposed Liberman's law, claiming sentencing terrorists to death will harm Israel internationally. The Knesset is expected to hold a preliminary vote later on Wednesday.